Joseph "Sonny" Murphy Jr, of Belle passed away at the age of 70 on Friday, February 1, 2019 at his home surrounded by family. He was born November 5, 1948 in Fillmore, IL to the late Joseph P. and May (Kunz) Murphy. He moved to the Belle area in 1968 where he later met his wife, Beverly (Cox) Murphy. They were united in marriage on May 26, 1973. 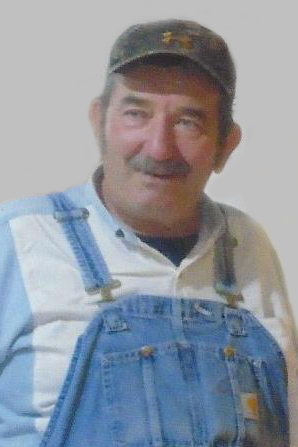 Joseph enjoyed retirement as well as gardening, farming, working on small engines, and classic country music. He loved going to auctions, shopping at Amish stores, and cooking. He was a loving husband, father, grandfather, great-grandfather, brother and uncle. Joseph never met a stranger and will be missed by all who knew him. He is survived by his wife, Beverly; son Joe and wife Shelly of Amherst, WI; son Mike and wife Kathy of Vichy; daughter Joy and husband Dustin of Vichy; daughter Mamie Brown and husband Jason of Belle; eight grandchildren, John, Coty and wife Whitney, Stephanie, Melissa, Jeremy, Matthew and wife Rachel, Caitlyn, Joseph; two great-grandchildren, Jacob and Jaylin; brother John Murphy of Owensville, and sister Mamie Jennings of Springfield, IL; along with many nieces, nephews, extended family and friends. He is preceded in death by his parents, Joseph and May and his great-granddaughter, Annebelle. Visitation for Joseph will be held on Tuesday, February 5, 2019 from 12:30 p.m. until 2:30 p.m. at Sassmann's Chapel in Belle. Funeral services will follow at 2:30 p.m. Interment will be at Countryside Memorial Gardens near Bland.